As a leader in motorcycle racing and performance news and entertainment, Cycledrag.com is proud to announce a partnership with Five Star Powersports, a premier motorcycle, and more, dealer in Duncansville, Pa., designed to offer dragbike racers unbeatable deals. Cycledrag.com’s search began by scouring the internet in a nation-wide search to see which dealership could offer the best deal on a new Suzuki Hayabusa. Jack Korpela and Five Star Powersports general manager Josh Mazzei unveil the Cycledrag.com Hayabusa. 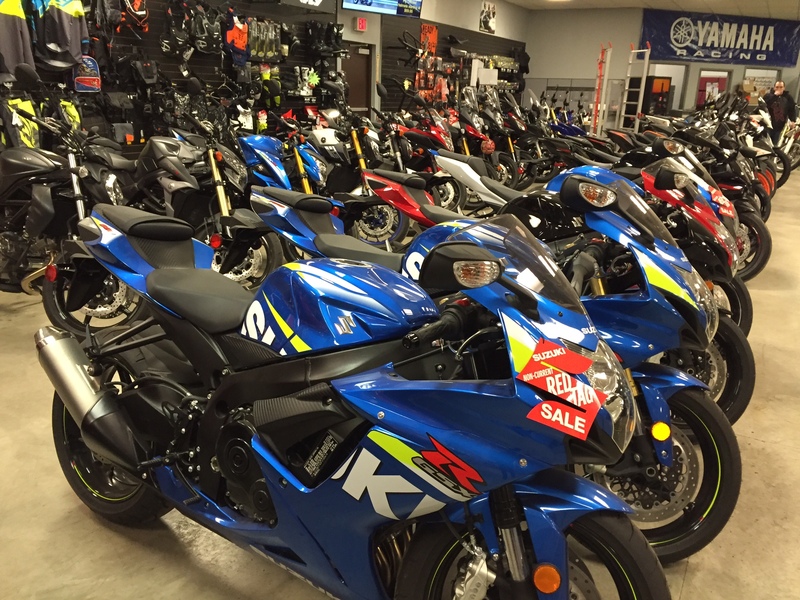 Five Star Powersports’ vast inventory of sportbikes. 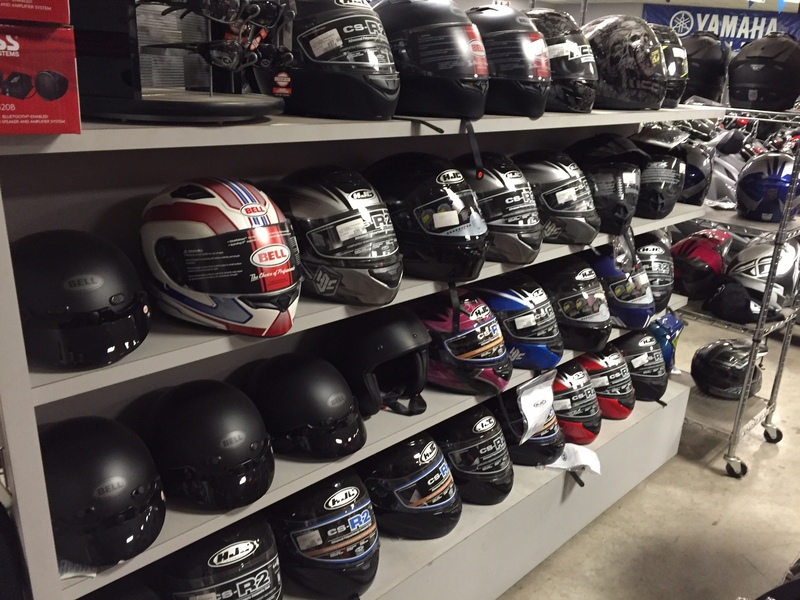 Five Star Powersports offers unbeatable prices on helmets, parts and apparel and will ship anywhere. 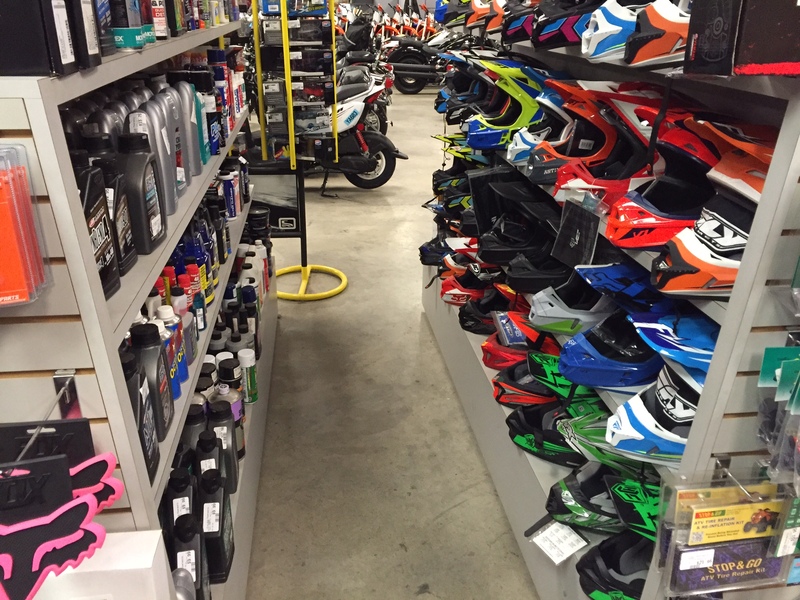 Five Star Powersports has unbeatable prices on the gear and products you need, no matter what you ride. The Cycledrag.com/ Five Star Powersports Hayabusa will be built for the strip and campaigned in conjunction with legendary Top Fuel Motorcycle racer, 14-time world champion Larry “Spiderman” McBride and well-accomplished and respected Team Trim-Tex. The bike will showcase the finest components available from Cycledrag.com supporters. 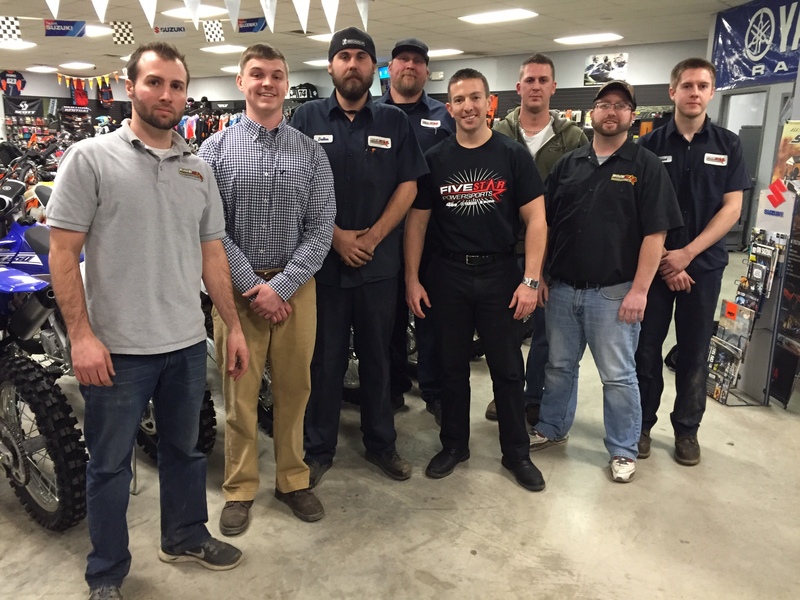 Fiver Star Powersports general manager Josh Mazzei and his talented team. When calling Five Star Powersports make sure to mention Cycledrag.com for the best deal on motorcycles, parts and accessories. Take a look at Five Star’s awesome team and facility. They are there to help you. Five Star started in 1998 as a Suzuki automobile franchise. By 2004, it had become the number one Suzuki dealership in the country. Along the way, it expanded to a larger location. 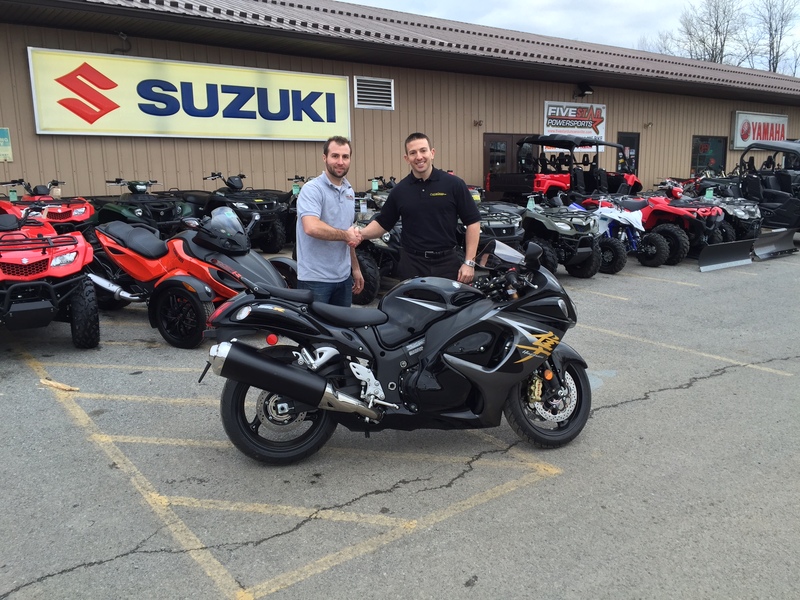 Call Five Star Powersports today at (888) 728-7340 or visit them online at http://fivestarduncansville.com/. Five Star is open six days a week, closed only on Sundays. 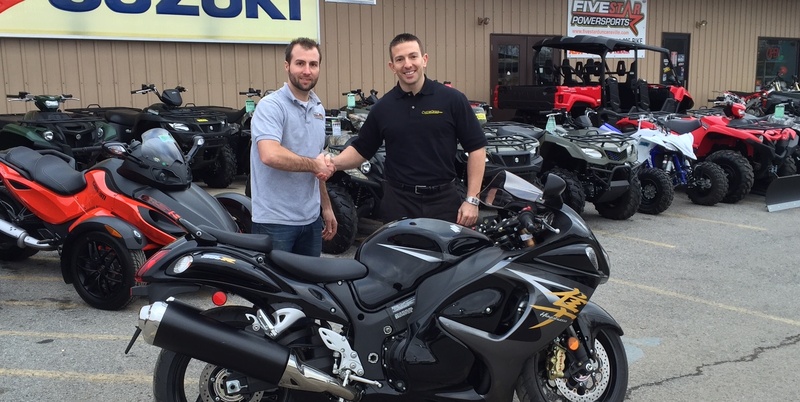 Be sure to welcome general manager Josh Mazzei and Five Star Powersports to dragbike racing.